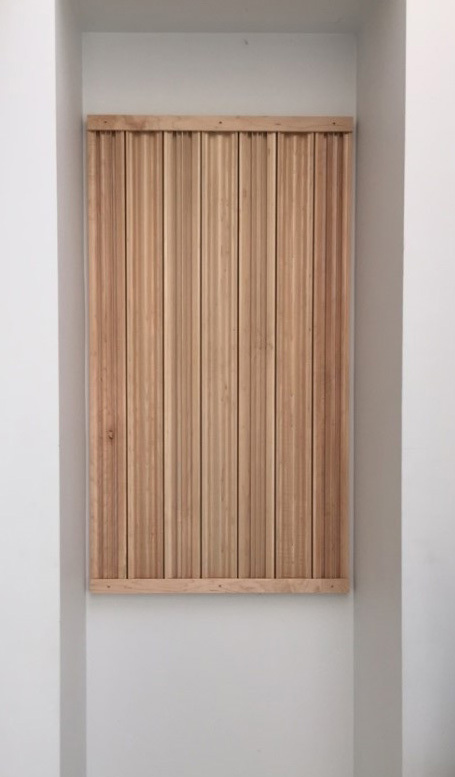 Here at Acoustics First®, we are often asked about wood acoustic treatment for spaces ranging from recording studios and auditoriums to churches and home theaters. Although the acoustic properties of wood are comparable to other reflective materials like gypsum and thermoplastic, wood’s superior aesthetic makes it a desirable treatment (wood is often perceived to “sound better” simply because of its visual properties). Two different profiles that work together! Back wall Diffusion for a theater, listening or mixing studio. Chair rail, door and window molding. 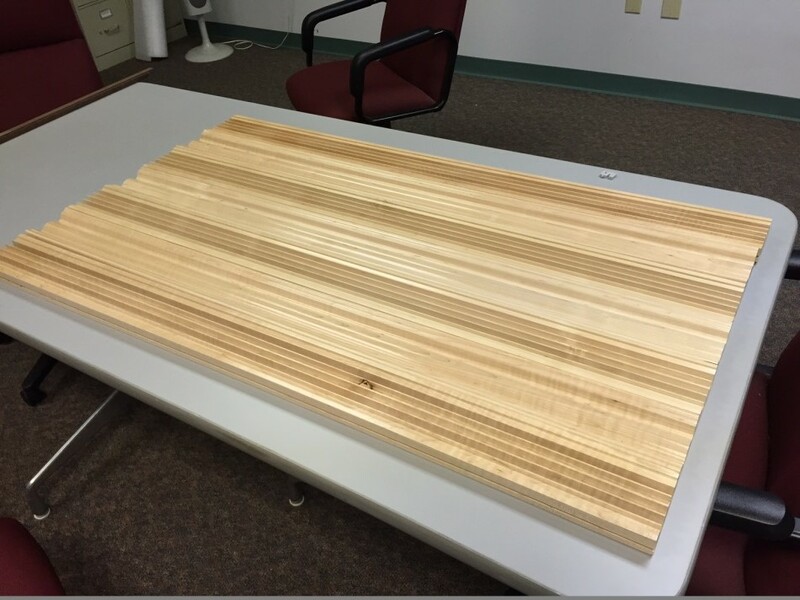 ArtDiffusor® Trim can come in lengths up to 8’ and is available in Maple (other woods can be quoted). Later in this article we’ll walk you through how to build your very own diffusion panel using 4’ lengths of ArtDiffusor® Trim. Where typical fiberglass and foam panels absorb sound by transferring sonic energy into kinetic and thermal energy, diffusers act to scatter the energy, creating ambiance and a sense of open space. The function of sound diffusers is not to remove energy from your room, but to redistribute it, accurately reinforcing the sound source by controlling standing waves and flutter echoes, while retaining the room’s “liveliness”. As is the case with any sound absorbing panels and diffusers, the treatment needs to cover enough critical surface area to make a noticeable impact. Simply installing a single piece of ArtDiffusor® Trim will not significantly improve the acoustics of a room. 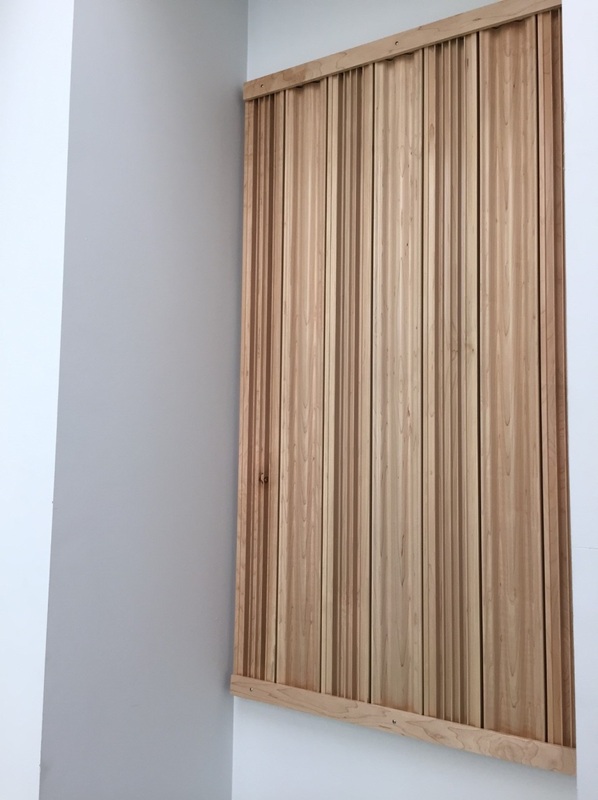 One way to ensure enough improvement is by using ArtDiffusor® Trim to build a series of diffusion panels and installing them as you would sound absorbing panels. 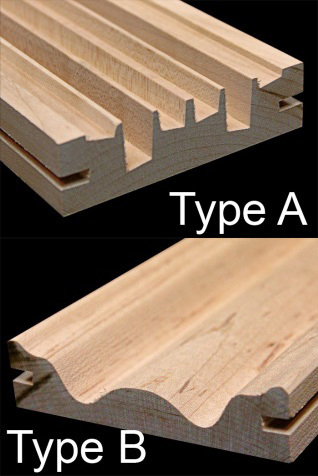 Plan out your Panel: Find out how many ArtDiffusor® Trim boards you want in your panel assembly. Our diffusion panel was to occupy an alcove that was 29” wide and each board has a width of just over 3.75”, so we opted for 7, 4’ boards. Remember, alternate type A and B profiles for optimal diffusion. 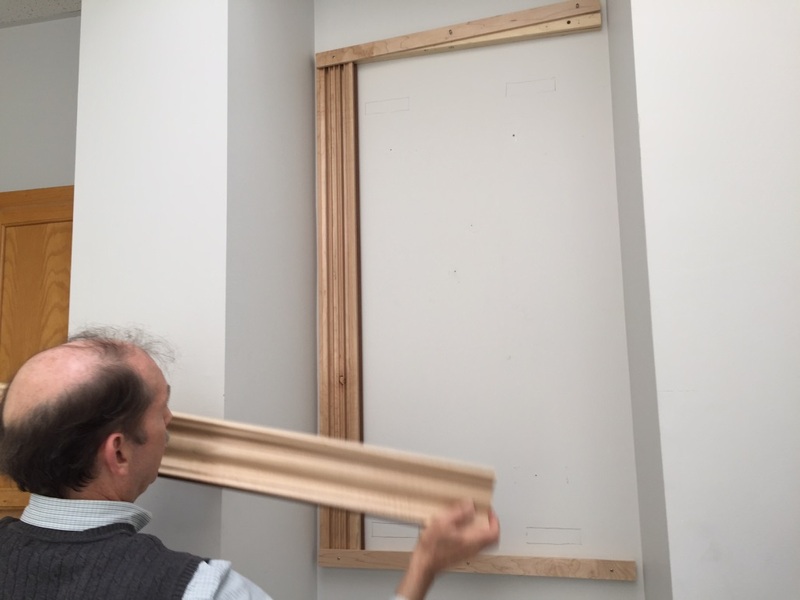 Install the lower support board: This is what the ArtDiffusor® Trim boards will “stand” on. It is best to install acoustic treatment above chair rail height (3’-4’), to ensure that it’s effective around ear height. 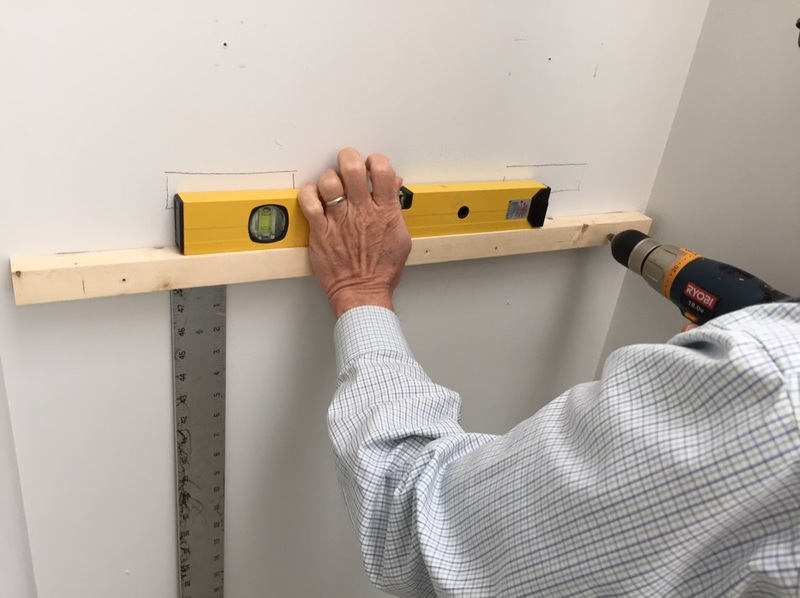 Measure and use a level to mark where the support board will go, install drywall anchors for a sure hold into the drywall, then drill and screw the support board into place. Be sure to countersink the holes so the facing strip has a flat surface to rest against. 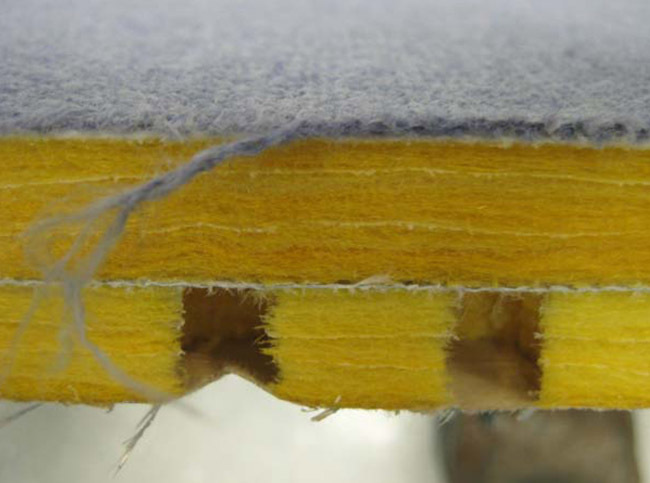 Install the upper support board: This time using the ArtDiffusor ® Trim boards as a guide, measure, level and mark the location of the upper support board. 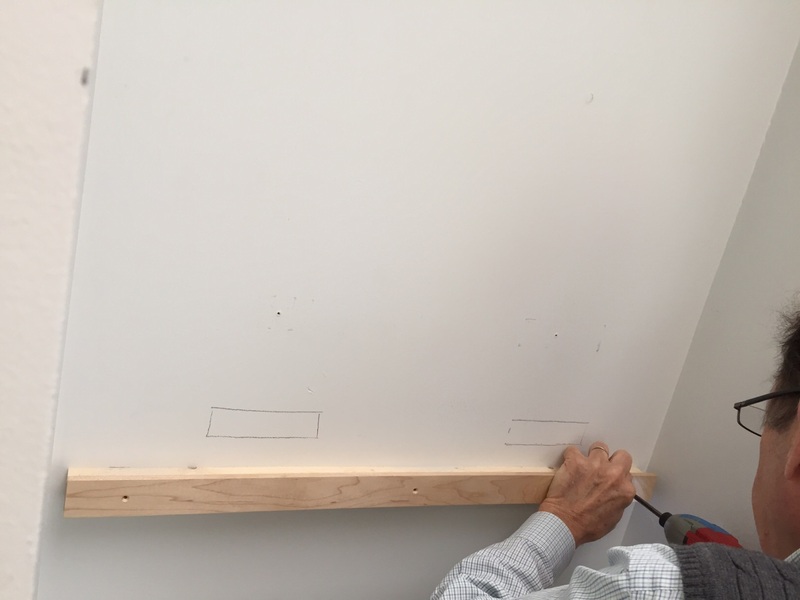 Again, using drywall anchors, mount the upper support board (don’t forget to countersink! ).The picture shows both support boards installed. Attach lower facing strip: Use facing strip that is approximately a ½” wider than the support board. Line up the facing strip next to the support board and mark your screw locations ensuring that they won’t run into the support board screws. Drill the holes and counter sink, lining up the boards so the ½” overlaps on the top, and screw into place. Partially attach upper facing strip: Same as the lower facing strip, but mount so the ½” overlap is on the bottom, and only screw one side in so it’s easier to slide in the ArtDiffusor ® Trim boards later. Partially attach top facing strip. Slide in Art Trim: Slide in the ArtDiffusor® Trim behind the facing strip and use biscuits to fit the boards together. We decided to position the boards with an approximately 1/8” spacing. Slide in ArtDiffusor® Trim panels. 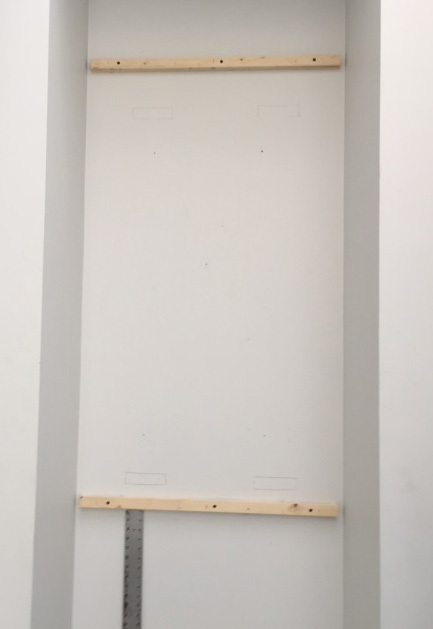 Finish attaching upper facing strip & admire your new DIY Diffusion Panel! 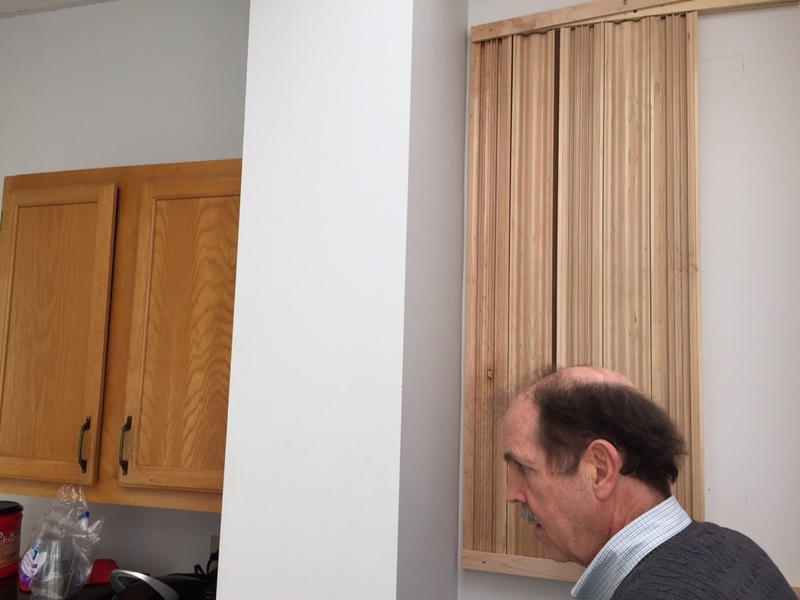 Final DIY Diffusing Wall Panel with ArtDiffusor® Trim! Comprehensive Diffuser Data Now Available! 3D Polar “Balloons” are used to display a full hemispheric acoustic level response, at specific frequencies, in front of the diffusive surface. This is how a 5000Hz signal would reflect off an Art Diffusor® Model D: If we could see acoustic energy, this is what it might look like! Acoustics First® has long been at the forefront of many exciting developments in the world of sound diffusion. In the spring of 2015, we created a method to evaluate sound diffusers using particle computer simulations. Then we utilized 3D printing technology to streamline the development of new diffuser prototypes. Recently, we received a patent for our innovative Art Diffusor® Model D design. Now we’re excited to announce the release of a new comprehensive data booklet for our entire line of sound diffusers! In essence, this booklet represents an entirely new way to view and compare sound diffusers. “With technological advances accelerating at a staggering rate, we believed it would be advantageous to compile all of the measurable acoustic parameters of these devices, in order to develop an operating profile for each.” Since sound absorption and sound reflection can both be measured with great accuracy, we foresee a use for this data, or similar data, in virtual acoustic room modeling, along with other useful applications. Contact us for your own print copy of the Acoustics First Diffuser Data booklet (or click here to download the PDF). The electronic data that was used to create the polar diffusion balloons is also available per request (Data compiled for Acoustics First by NWAA Labs in Elma, WA). Currently, we are working closely with other members of the industry in an effort to develop a universally accepted standard for testing sound diffusion. In the absence of such a standard, Acoustics First is presenting this data in good faith as we believe it represents the best of what is currently available. 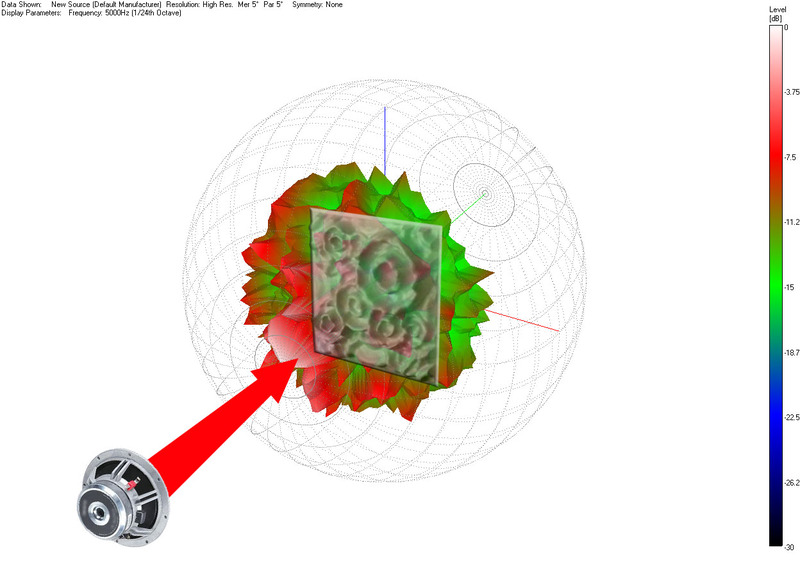 We look forward to sharing more advances in the field of sound diffusion! Acoustics First has just released another in a series of videos to help explain acoustical principles using simple, easy to understand video demonstrations. This latest demonstration tackles the mystery of acoustic sound diffusion. Using an array of ping pong balls to represent sound visually, this video simply demonstrates what occurs when sound strikes the surface of an acoustic diffuser. First, you will see what happens when sound hits a flat reflective surface with no acoustical treatment. The balls all bounce at the same time and in the same direction. This represents what happens to the sound when it hits a flat reflective surface like a wall. Then you see what happens when sound hits an acoustic sound diffuser. You will immediately notice the energy of the wave of balls is scattered in all different directions as well as deflected at different time intervals. Diffusers, disperse or scatter the sound like crowd control, preserving the sound to maintain sound clarity without destructive interference. This is the basic principle behind acoustic sound diffusion. DIFFUSING / SCATTERING SOUND: Sound Diffusion Explained from Acoustics First on Vimeo. Acoustics First Corporation supplies acoustical panels and soundproofing materials to control sound and eliminate noise in commercial, residential, government, and institutional applications, worldwide. Products include the patented Art Diffusor®, sound absorbers, noise barriers, acoustical fabrics and accessories. Acoustics First® products are sold for O.E.M applications, direct, and through dealers. 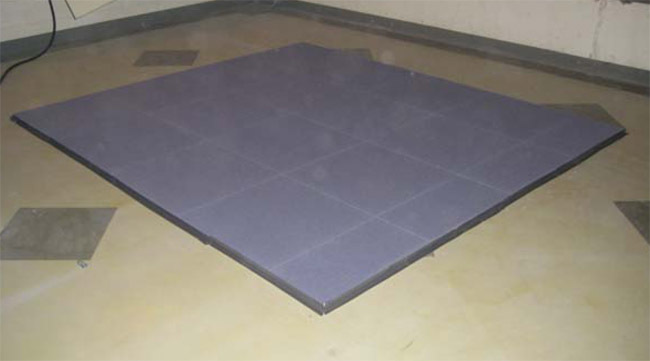 For more information on acoustical materials and their application, please visit www.AcousticsFirst.com or call Toll Free 1-888-765-2900 (US & Canada).